West of England Water Softeners cover the Royal Wootton Bassett area. Royal Wootton Bassett is in the North of Wiltshire and surrounded by countryside. The historic market town has a population of around 11,385 and continues to grow within the suburbs of Royal Wootton Bassett, including Noremarsh, Coped Hall, Woodshaw and Vastern. Royal Wootton Bassett boasts of its royal status and has became renown for the informal tributes it paid during military repatriation funeral processions which passed through the town. There are plenty of things to see and do in Royal Wootton Bassett including; the war memorial and the Wotton Bassett museum. The town holds an annual arts festival and has a theatre which puts on regular performances. The town is represented by Wootton Bassett Town FC. The outskirts of Royal Wootton Bassett include the idyllic surrounding villages including, Hook, Grittenham, Brinkworth, Lydiard Millicent, Wroughton, Lyneham, Dauntsey Lock, Purton, Braydon, Hilmarton, Bushton, Broad Town, Clyffe Pypard, Tockenham, Lyneham, Goatacre, the local towns of; Chippenham, Warminster, Frome, Corsham, Trowbridge, Westbury, Bradford-on-Avon, Melksham, Calne, Devizes, Malmesbury, Marlborough, Midsomer Norton, Radstock and the beautiful Georgian city of Bath. Royal Wootton Bassett is in a very hard water area, it is estimated that only 53% of households in the UK live in a soft water area. Hard water is a build up of calcium and magnesium carbonates which is the limescale in your water. A common way to soften water is by using ion exchange resins, this process of softening hard water is done through a water softening system called a water softener. West Of England Water Softeners Royal Wootton Bassett (W.E.Softeners Ltd) can help you choose a water softener to suit your requirements. 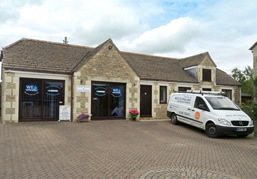 We are an Authorised Kinetico Dealer based in Holt near Trowbridge, on the B3107 between Melksham and Bradford-on-Avon. West of England Water Softeners Royal Wootton Bassett have been softening water for more than 50 years, also providing drinking water systems and supplying water softener salt in Royal Wootton Bassett including, tablet salt, granular salt and block salt for water softeners in Royal Wootton Bassett. We provide a water softener salt delivery in Royal Wootton Bassett or salt can be collected from the large salt supplies held at our showroom and offices in Holt. As an authorised Kinetico dealer WE Softeners are able to offer and extensive range of water softeners. We stock spares and can repair most makes of water softener and would recommend the Kinetico Premier water softener for homes in Royal Wootton Bassett as it is a twin cylinder block salt non-electric water softener and gives continues soft water, even whilst regenerating. 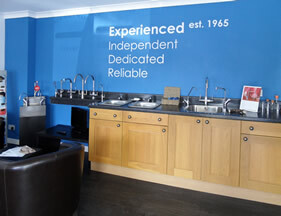 This is ideal for homes in Royal Wootton Bassett as the water is very hard. When you have chosen the best solution for you, we offer a full installation service to the Royal Wootton Bassett area, and when you need to replenish your water softener salt, you can collect salt fir your water softener from our offices in Holt arrange a delivery. Our qualified plumbers and factory trained engineers can install service and maintain water softeners including Royal Wootton Bassett. Also we stock spares and can repair most makes of water softener including Permutit water softeners, Aqua Dial water softeners, Monarch water softeners, Culligan water softeners, Avon Soft water softeners, Zephyr water softeners, Euro water softeners, Domextra water softeners, Autotrol water softeners, Fleck water softeners and many others.